Theresa May is to call for “concrete measures” to ensure girls in Commonwealth countries spend at least 12 years in education. Too often they are forced out by “discrimination, poverty, or simply the expectations of society”, she will say. Landale: What next for the Commonwealth? Speaking to an audience including Microsoft founder and philanthropist Bill Gates, Mrs May will say that international experts agree young people need 12 years of quality education if they are to fulfil their potential. “Across the Commonwealth, tens of millions of young people – usually, but not always, girls – are denied the education that would allow them to get on in life. 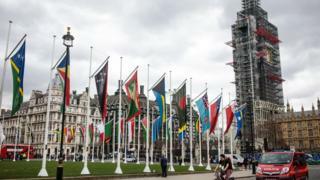 Announcing the £212m from the foreign aid budget, she will urge Commonwealth nations to agree to the 12-year goal, calling for “concrete measures that will allow it to become a reality”. She will also focus on the fight against malaria, saying the Commonwealth has a “particular duty” to tackle the disease. “We cannot, in good conscience, talk about the young people of the world, about securing a legacy for our children and grandchildren, without tackling a disease that, worldwide, kills one of them every two minutes,” she will say.